Markus Egger, founder of SIMEGG GmbH, attended the Swiss Aviation School (SLS) in 1993, and has felt at home in any number of different cockpits since the autumn of 1993. He was entrusted with training tasks at a very early stage, and has a considerable level of experience as a flying instructor in a wide range of different aircraft and in many differing areas of aviation. His professional career has been exceptionally interesting and varied. He is part of a small circle of pilots who have flown in single engine aircraft over the North Atlantic and scheduled flights with leading airlines in Europe, as well as in VVIP cockpits in extremely remote regions. Markus is experienced in interacting with students from different cultures. As a flying instructor, he had the privilege to train pilots in various countries, amongst others in the Philippines, Russia, India and Japan. In 2014 Markus joined Diederika at flugangst-berater.com and supports her with the fear of flying seminars. Both of them share the same interest in psychology and human factors in aviation. Together they started to develop the TASMA Training & Support for aviation flight crew and staff. 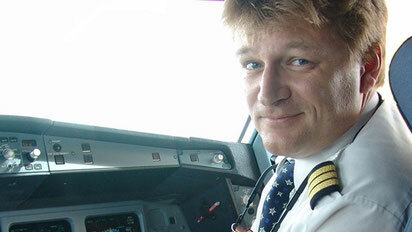 "As a pilot trainer for Airbus, I traveled the world and met many pilot students from different cultures. In addition to my professional flying, I have also been an active and successful participant in aerobatic competitions for many years. My ambition is to train and share my experience with pilots all over the world.